Tucson Daily Photo ~: Happy couple! 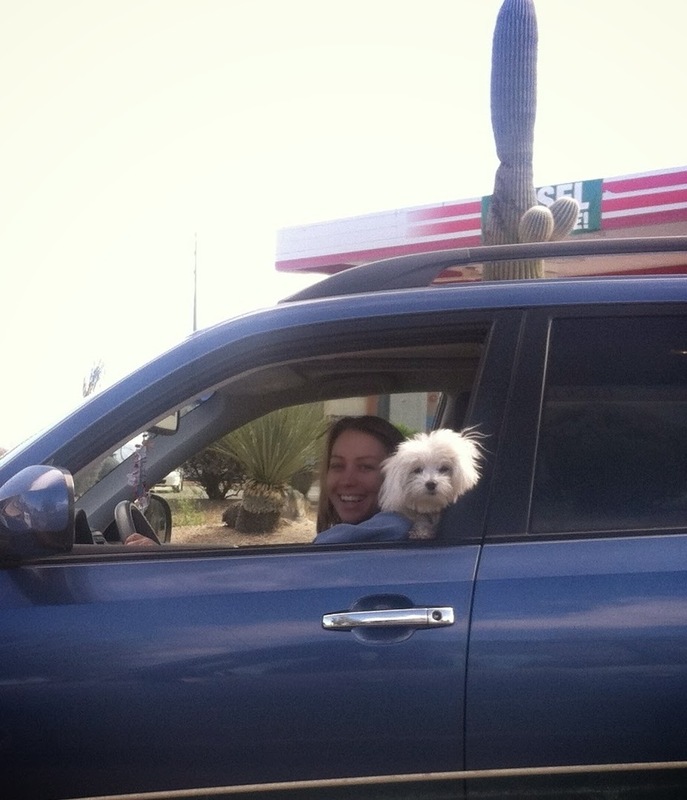 I was stopped at a red light and looked over to see this happy couple! It was a great day for a drive with your best buddy. Adorable! Bring on the cuteness overload, haha!! A big smile from the mom of a very happy little doggie! Great photo to start off a Monday! And when I asked her if I could take their photo she just lit up! Cuties, both of them!